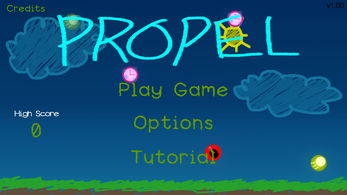 PROPEL is a 2D simplistic type shooter game where your gun propels you upwards. 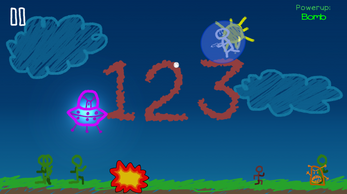 Your goal is to eliminate all the enemies while avoiding the walls. 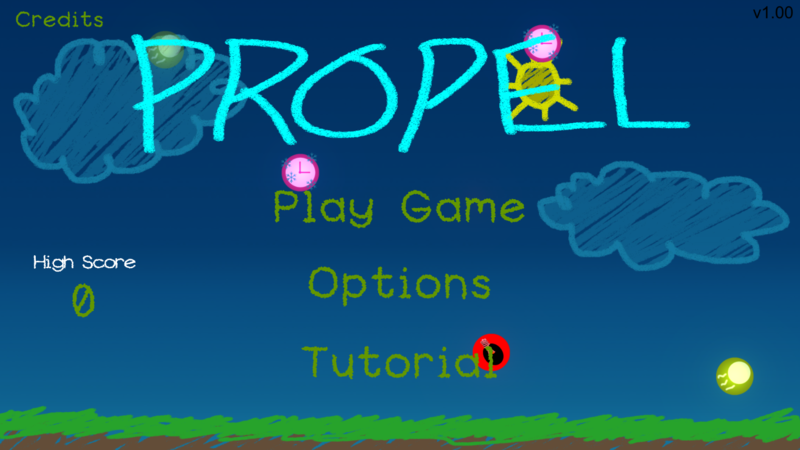 This alpha version includes 6 powerups, 4 handicaps, 1 character, and 6 enemies. Many more features will be added in the near future so stay tuned! PLEASE leave feedback! I really would like to know what you think. Any suggestions, bug reports, hate or love for the game, please leave a feedback using the Google Play Store's review feature. - Triple Shot - Shoots 3 bullets in an arc. - Big Bullet - Shoots a large bullet that instantly kills enemies. - Slow Motion - Slows down time. - Shield - Shields you from dying when touching the walls. - Freeze - Freezes time so you can shoot tons of bullets that will launch when the powerup expires. - Bomb - Drops a bomb that kills enemies that touch its explosion. - Flicker - Rapidly turns the lights on and off. - Fast Motion - Increases the speed of everything. - Reverse - Reverses the gravity. You fall up instead of falling down. 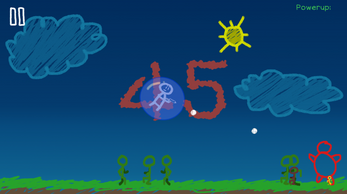 - Fake Gun - Makes your gun shoot no bullets but still propels you upwards. - Green - The most basic enemy, only has 2 HP. - Brown - This dude is fast, he only has 1 HP though. - Red - The Tank, he has 5 HP. - Gold - He's so tiny! He has 1 HP and gives you 5 points.